Hello! You may remember this little organizational item I created a couple months ago. I blog all about it here. Well it has been super useful in keeping ME organized. But I noticed it doesn’t do much to help the ‘ol hubsters want to stay organized. He wanted a MANLY list. So I made this one! 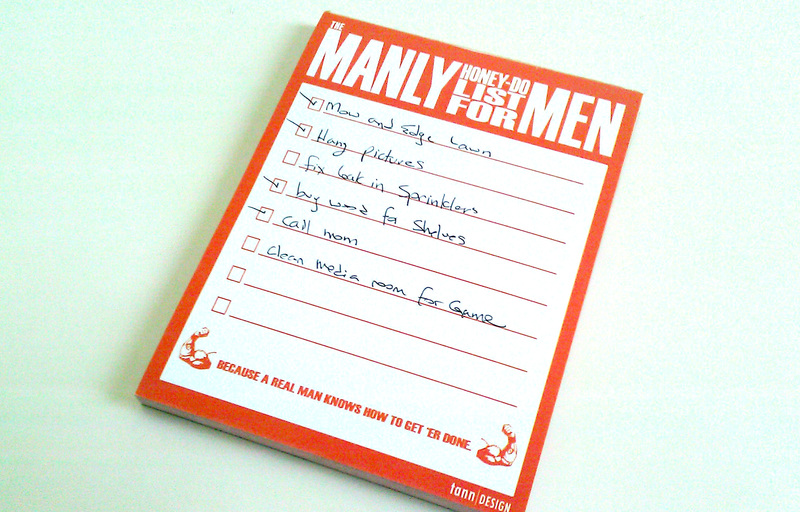 Chock full of Manliness, this is THE MANLY HONEY-DO LIST FOR MEN. :-) When Dan wants to get it done, he can now do it in style. I specifically limited the lines to 8 in order to not overwhelm The Man with endless honey-do items. If you are anything like me, I tend to get too excited about getting “stuff done” and end up with a list for Dan with around 50 items on it. So this makes him happy and keeps me under control! Anyway if you like this list and want one for yourself, you can find it on my etsy store, along with the To Do Daily notepad. ***UPDATE*** I have since closed the Etsy store. Just not enough traffic. 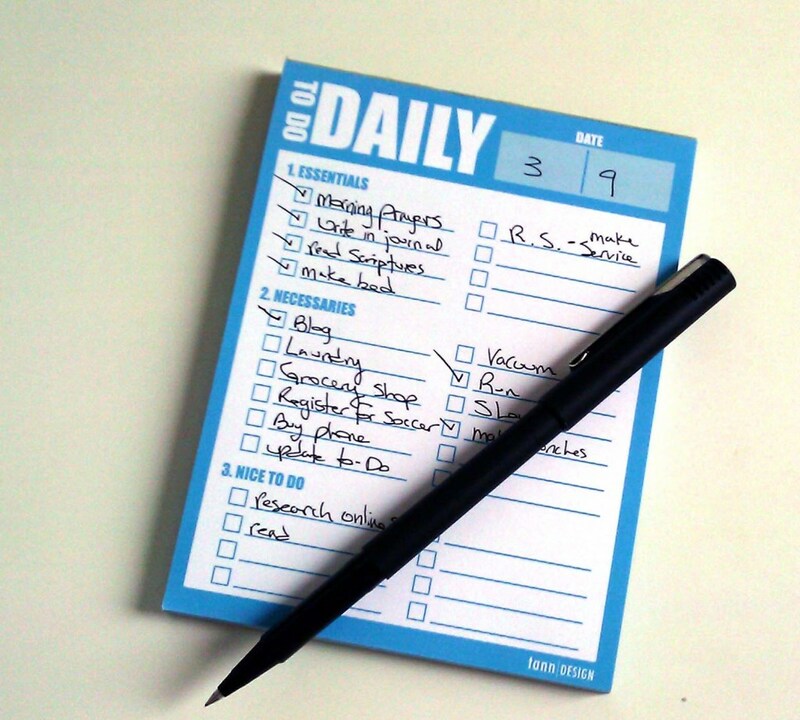 Selling one notepad, once a month is more annoying then beneficial. So if you still want one, then just contact me directly and we will work directly. Thanks!